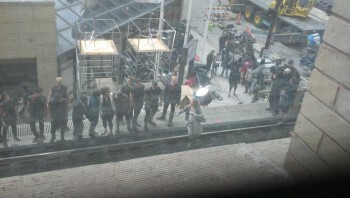 Shailene or her stunt double standing on the fake tracks. 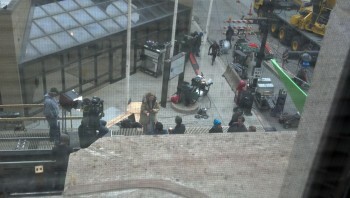 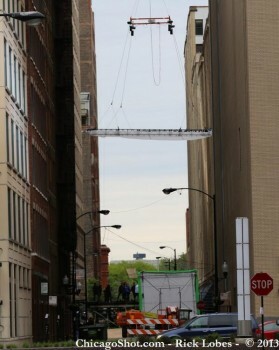 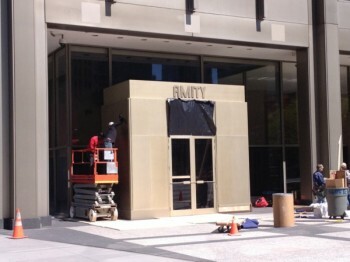 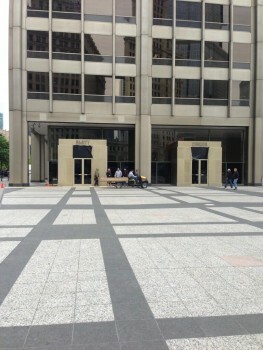 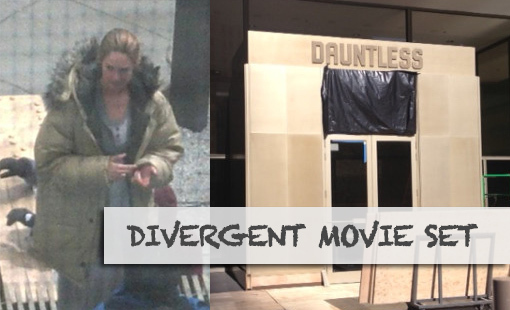 More filming: Dauntless, tris stunt double, green screens. 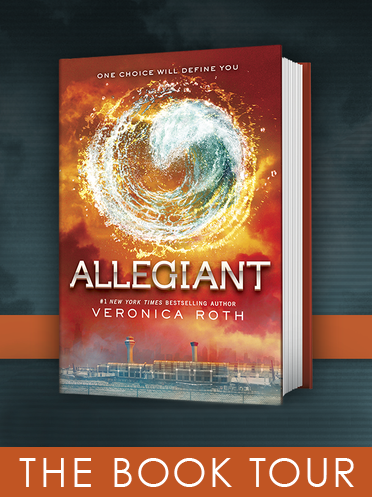 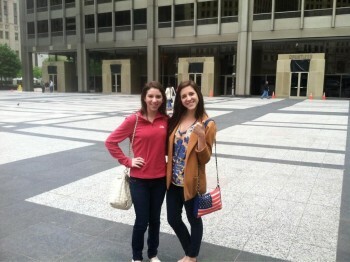 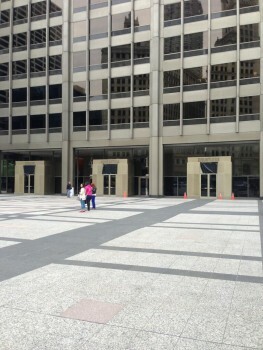 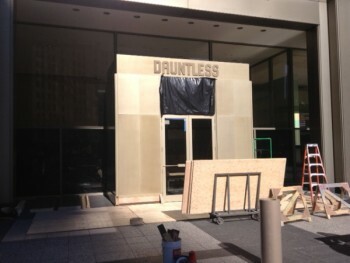 These look like faction entrances, we're guessing for the school. 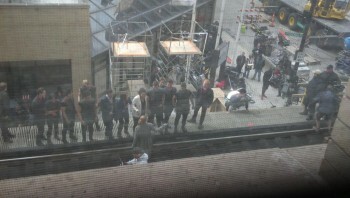 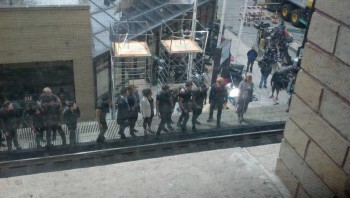 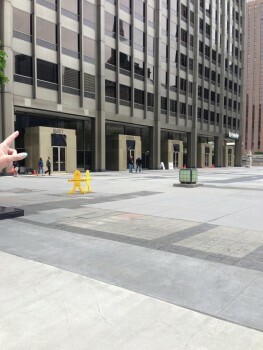 Dauntless initiates standing beside a track.You can also see green screens. 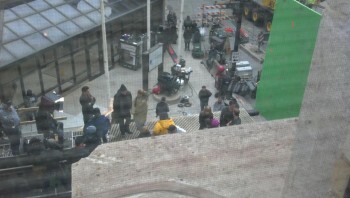 Shailene or her stunt double on the tracks.